Backed by a Jazz Trio, Melinda presents a humorous look at being a Brit, poking fun at British culture, British Aristocracy, life in London and how she fares as a British girl in New York. A selection of her own brilliantly crafted songs mixed with some jazz standards and musical theatre classics will make this an unforgettable and dazzlingly funny evening. 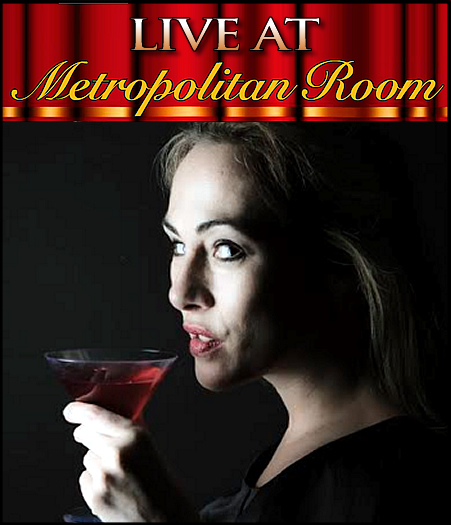 Melinda performs at The Metropolitan Room for one night only so this is not be missed! Classically trained Melinda Hughes is a Weimar Cabaret specialist and a successful Satirical cabaret performer. She has performed with her co-writer Jeremy Limb at numerous International Festivals. Her CD Smoke and Noise (Nimbus) won critical acclaim in The US and UK leading her to appear on BBC Radio 3 and BBC Radio 4 with Barry Humphries. A graduate of The Royal College of Music, Melinda toured Europe for three years as the soloist to the famous violinist Andre Rieu. She has sung many lead roles in operas such as Aida, Tosca, Marriage of Figaro, Cosi fan Tutte and Madame Butterfly working in more than forty countries. Her satirical cabaret has taken her to New York, Barbados, Paris and Bermuda as well as a run at the Edinburgh Festival.